Starting as just an inkling of an idea in 2015 until eventually culminating into this beautiful symbolism of hard work, Bravery Magazine launched in the fall of 2017 after a community of believers came together to help founders Ashley and Elyse start their dream. The magazine, which was funded through a Kickstarter campaign, amassed more than double their original $27,000 goal. Their objective? Setting out to teach young girls - and boys, too - about women who embody bravery, in hopes that they too know they can achieve anything they set their minds to. Bravery - which is a quarterly publication - focuses on historic women each issue and draws the reader into their world through bold imagery, accompanied by history lessons and words of wisdom. 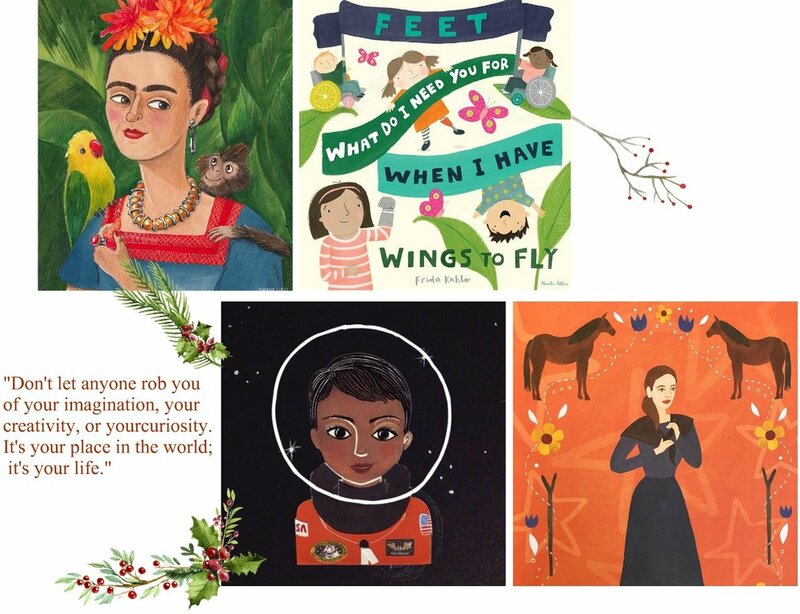 Their current issue focuses on painter Frida Kahlo, while past issues took readers to space with astronaut Mae Jemison, and into the jungle with primatologist Jane Goodall. Elyse and Ashley have stated that the magazine is more than just its issues, it’s also the community of women whose talents are showcased in every issue. In their own words, “we’re not just creating a magazine - we’re creating a movement.” I couldn't have said it better, myself.